Employees of Qualified Italian E-2 Employers. Italian Nationals starting or acquiring a business in the United States may be eligible for an E-2 visa allowing them to lawfully operate that business from within the United States. 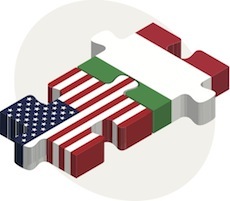 A U.S. business owned by Italian Nationals may hire certain specialist Italian employees to work in the United States in E-2 Status. Why is an E-2 Visa Appropriate for Italian Nationals? 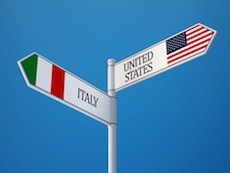 Special treaties exist between the United States and Italy that allow Italian Nationals to apply for E-2 visas, or treaty investor visas, in the United States. E-2 visa applicants are required to prove that the funds used to purchase or start a business in the United States were lawfully earned in the country where they were earned. While the funds can be earned in ANY country, including the United States, in the case of Italian applicants this usually means documenting that funds were lawfully earned in Italy. Our Italian team in Rome are able to assist clients with this and other relevant issues. To our knowledge no other firm provides this service. Do E-2 Visa Applicants who are Italian Nationals require a Business Plan? 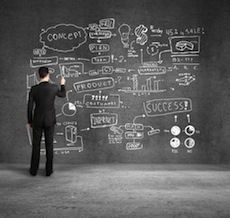 A business plan can completely critical for a successful Italian E-2 visa application. Our firm’s review of denied E-2 cases referred to our firm confirms just how critical the E-2 business plan is. We strongly advise clients to hire E-2 visa law firms who have a very substantial and meaningful role in the PREPARATION and WRITING of the E-2 business plan. The U.S. Consulate in Rome maintains a list of “vetted companies” that can be found by clicking on this link. Applications for an E-2 visa from employees of these employers can process more efficiently with less documentation. Please contact our office for additional information. Can I Apply for an E-2 Visa from within the United States? While it is not possible to obtain an E-2 visa from within the United States Italian Nationals are potentially eligible to “change status” to E-2 “status” after having entered the United States using a different type of visa. “Changing Status” is a process that has very distinct and special considerations that need to be discussed with an immigration lawyer experienced with handling this process, our experienced E2 visa lawyers are ready to discuss this process with you. What is Davies & Associate’s Record with E-2 Visa Applications? Davies & Associates may be unique in terms of the success of our Italian E-2 visa team. As of October 30, 2014 no E-2 visa application prepared by Davies & Associates has never been denied. We are also frequently called upon to assist clients whose E-2 visa applications have been prepared and filed by other law firms and denied, while it is not always possible to “rescue” these cases our firm does have a strong history of success in doing so. To our knowledge Davies & Associates is the only dedicated U.S.-based business immigration law firm to maintain a presence in Rome. This dual presence uniquely positions our firm to assist Italian E-2 visa applicants. While “changing status” to E-2 status involves filing a Petition with USCIS in the United States, obtaining an E-2 visa involves working with the U.S. Consulate in Rome. 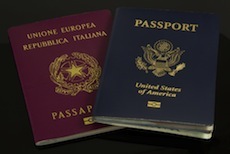 The U.S. consulate in Rome maintains E-2 visa application procedures that are unique to the U.S. consulate in Rome. Further, the identity of the specific officers working on the “E-2 desk” in any consulate can heavily impact E-2 visa processing. Maintaining direct local knowledge of the U.S. consulate in Rome is therefore essential. Since July 15, 2013 all Italian E-2 visas applications have been processed in Rome and require the applicant to attend an interview in Rome. Preparing a client for this interview in Rome is usually therefore an efficient and effective approach. The ability of a law firm to work both in Rome and in the United States is therefore highly beneficial. Our U.S. office frequently provides clients with advice on these and other processes. The only Route to an E-2 Visa? Nationals of non-E2 treaty countries, such as Brazil, are unable to obtain E-2 visas. For applicants from these countries the ability to obtain Italian Nationality can sometimes be the only route to an E-2 visa. A surprisingly large number of Brazilian Nationals do qualify for Italian Nationality.